Freshwater East is a small village about 7 miles from Pembroke, Pembrokeshire. It is situated on a hill and cliff top overlooking the bay below and has stunning views of the ocean throughout the year. Yes, this is a beach in the UK! Freshwater East, Pembrokeshire. There is a pub in the village with a great beer garden overlooking the bay and down at the bottom of the hill at sea leavel is a nice restaurant and relaxation centre which can arrange kayak/SUP hire and even diving. 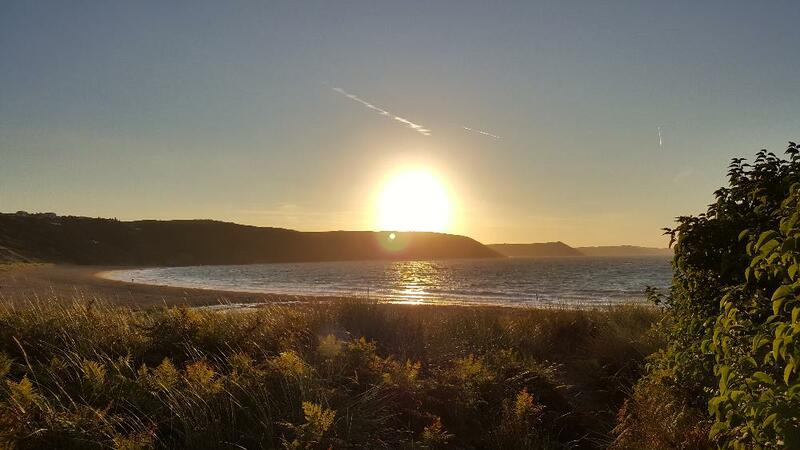 Freshwater East is the site of a Green Coast Award Beach and is one of the most popular beaches in Southern Pembrokeshire due to its close proximity to Lamphey and Pembroke and due to the cleanliness of the beach and water. There are some fine sand dunes skirting the beach, great for the kids and dog, and for having a barbecue. The coast path runs through the dunes and up the cliff to the village and from there to Manorbier, great for a hike or trail run. 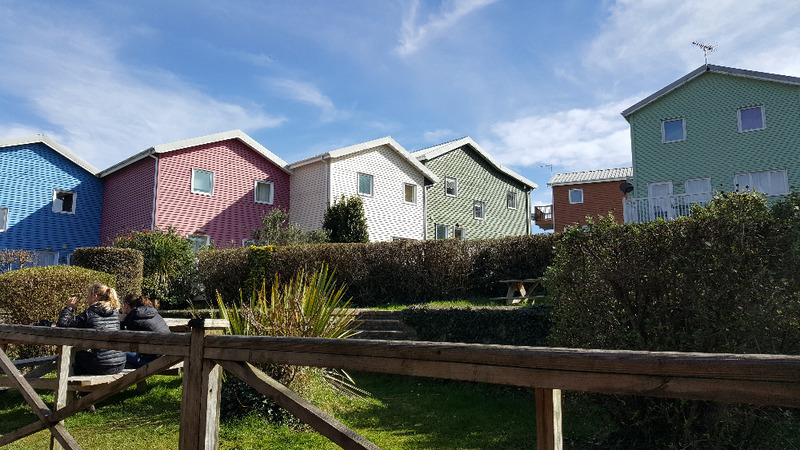 There are lots of options regarding accommodation in and around Freshwater East, from camping to the holiday village, which is just 2 minutes walk from the beach. The most common sea swim for Freshwater East is the Fresh East Bay swim, which is a circular tour of the bay. Starting at the right side of the bay as you look out to sea, you will go out 200-400m depending on tides, then turn left and head right across the bay to the other side. From there you will head inland and swim back towards the beach. The waves over on this side of the beach can get large if the wind is up, but this makes for some fun body surfing in the breakers! Once back to the beach the swim takes you either straight back across in a straight line or as a crescent (if you want to boost the distance), back to the starting point. Of course, if you want to increase distance you can do this two or more times. The far end of the beach is good for practising starts and exits. This is a more challenging swim and is only open to advanced swimmers. The route starts at Freshwater East and follows the coast east to Swan Lake Bay and / or Manorbier. There are sometimes large swells an chop and a calm sea can change rapidly. In the seal breeding months you are likely to see seals either in the water or on the rocks. Swan Lake Bay is approximately halfway if doing a one way swim to Manorbier. 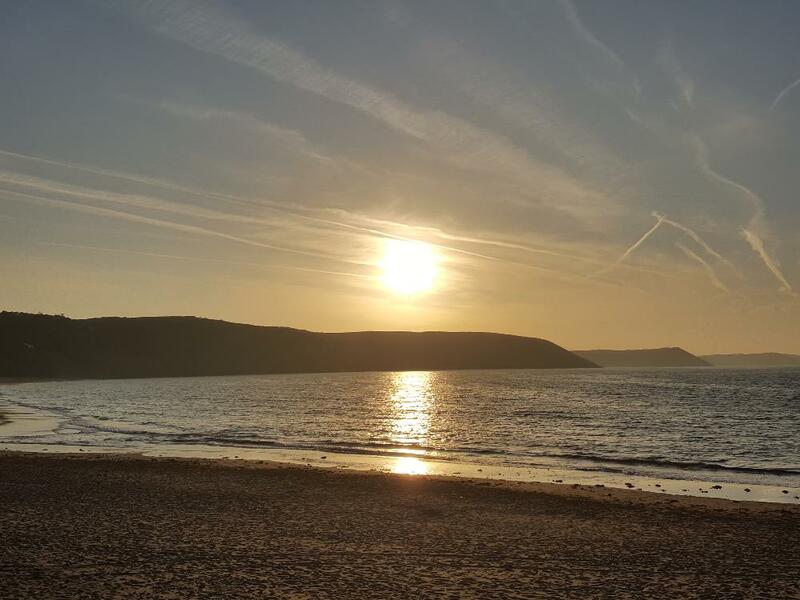 There are options for alternative swims if conditions change, such as Fresh East to Swan Lake and back or Swan Lake Bay to Manorbier, which involves a hike to Swan Lake Bay to start. This swim is subject to change in bad weather. The swell at Freshwater East can be quite hairy in the winter/spring months but this adds to the excitement. There are a lot of barrel jellyfish in April-June, as well as the small varieties of jellyfish in June & July, often in the hundreds. They're harmless but can be unnerving if you're not used to them, however this is why it's a good idea to practise if you are doing the Long Course Weekend or Iron Man Wales events as you will come across them then. Seals can often be seen in the water in September/October and will sometimes follow you around on your swim, which is a wonderful sight if you can get close enough but don't try to get too close as they are breeding at that time and are wild animals. 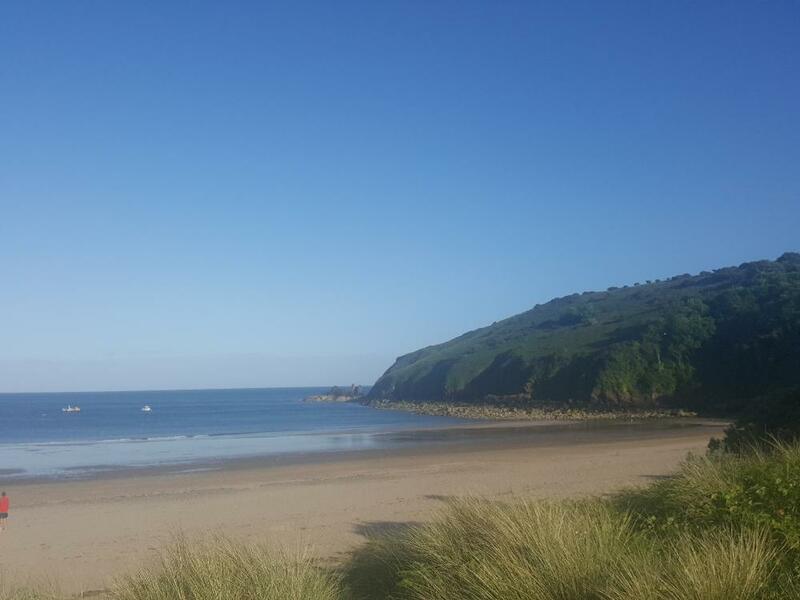 Freshwater East to Manorbier is an advanced swim and requires a kayak to accompany swimmers. For this reason advanced booking is essential and swimmers swimming ability will require assessment before undertaking this swim. Waves and chop can get big on this route as it is exposed to the incoming swells. With safety in mind this route is subject to change at short notice. If you bring a dog and run it on the beach, please clean up after it as this beach is extremely popular with local swimmers and tourists. Also there have been reports of increasing numbers of adders being sighted in the sand dunes surrounding the beach, so bare that in mind if your furry friend enjoys sniffing and rooting around in the undergrowth. There is a large paid car park at Freshwater East. There are no 'changing rooms' so sea swimmers tend to get changed by their cars and walk to the beach, which is just 2 minutes from the car parks. There are no shops at the beach but there is an ice cream van who puts in a regular appearance and also the fairly new 'Long House' restaurant, which does serve some great food and ales and has a nice beer garden. There are public toilets right near the beach. Click here to see a typical list of sea swimming gear you may want to consider bringing. Click here for more information on the wildlife you may encouter on this swim.